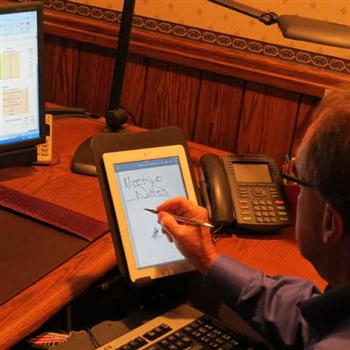 Tablet Mate supports tablets at any angle for viewing, typing or writing. 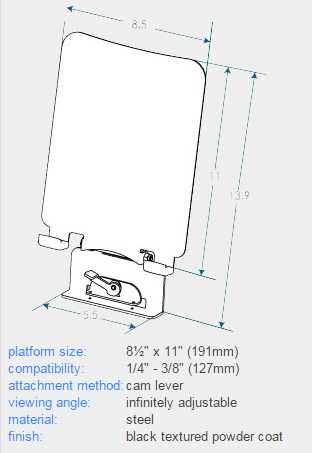 Attaches to the tray so it moves with the keyboard and then tilts to a focal angle that is comfortable for you. But that’s not all the Tablet Mate does. Flip the Tablet Mate down over the keys and you have a writing or mousing surface. 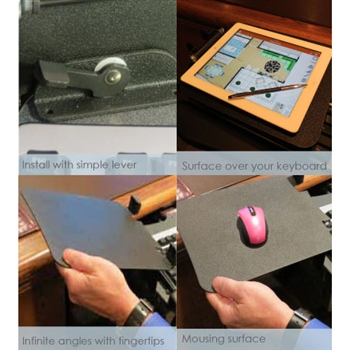 Now you can work on your tablet without turning, twisting or stretching over your keyboard. Positioned on the left or right side, the surface does not obstruct the main keys of a standard size keyboard. So you can type or write while maintaining the same position.